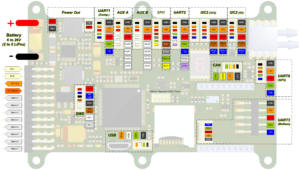 The ENAC UAV lab is proud to release its latest autopilot board. 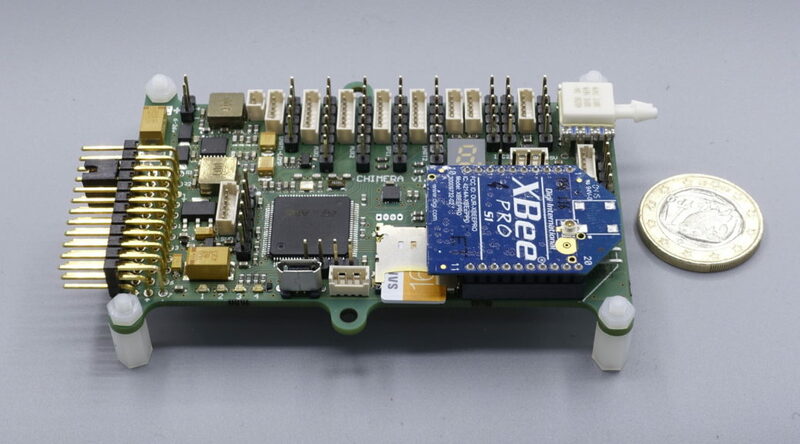 Named Chimera, it is based on the latest STM32F7 micro-controller and offers a large connectivity. The design have been made with the ease of use and integration for end-users, especially researchers. With the usual features like IMU and barometer, the Chimera also carries a differential pressure sensor, a SD card slot, a XBee modem slot and a 5V power supply dedicated to external companion processor. 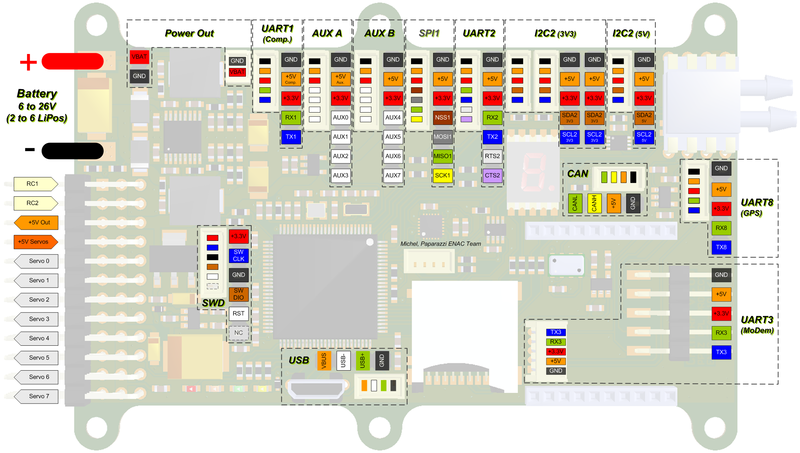 Please check the general pinout diagram below or the Wiki page for more details. The Chimera have been successfully used on the hybrid airframe currently developed by Enac with the help of TUDelft for the control.